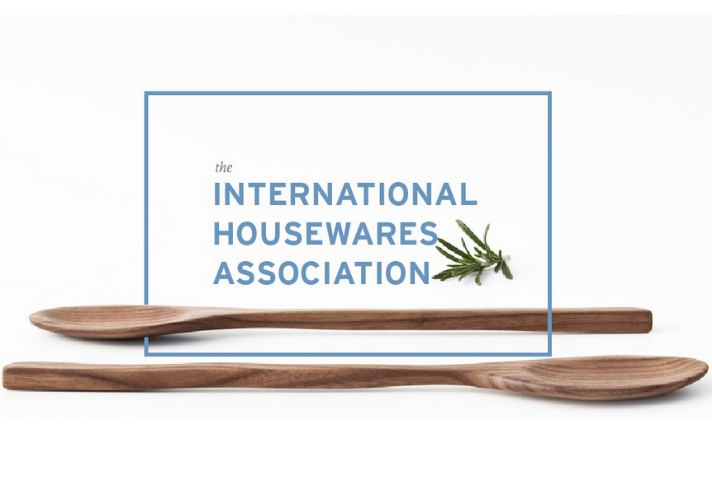 Four new directors have been elected to the board of directors of the International Housewares Association (IHA), the full-service trade association for the housewares industry. The new directors are: Scott Henrikson, president, Dexas International; Darrin Johnston, managing director, Meyer Corporation; Lisa W. Knierim, president & CEO – Americas, Villeroy & Boch; and Ingerid Mohn, president, Sagaform Inc. Their three-year terms begin Oct. 1, 2018 and end Sept. 30, 2021. Vice Chairman/Chairman Elect – Howard Steidle Jr., CEO, John Ritzenthaler Co.
All officers serve one-year terms from Oct. 1, 2018 to Sept. 30, 2019. Retiring from the board are: Hildy Abrams, CEO, Gourmet Settings Inc.; Gregory Cairo, president and general manager, Groupe SEB USA; Alejandro Peña, managing director, North America, Keter North America; and Philippe Trudeau. Re-appointed for a second three-year term were: Fred Dohn, CEO, Arc, and Howard Steidle Jr.
Henrikson joined Dexas, a designer and manufacturer of innovative housewares, pet and office products, in 2016. He has more than 20 years’ experience in the housewares industry, beginning his career as vice president of sales at Progressive International from 1995-2000. He moved to Jarden Corporation in 2000, serving in senior leadership positions in sales, marketing and management: senior vice president, sales and marketing at Tilia, 2000-07; senior vice president, sales and marketing at Coleman, 2008-12; and executive vice president at Quickie Manufacturing, 2012-14. Johnston has worked at Meyer, a manufacturer and distributor of cookware and housewares products, for 20 years. He joined the company in 1997 as regional sales manager and left in 2004 to become vice president of sales at The Evercare Company. Johnston returned to Meyer in 2006 as vice president of sales for the U.S. market. He served as senior vice president of sales, responsible for all U.S. and Latin American markets, from 2011-14, and was named managing director in 2014. Johnston is a member of the Cookware Manufacturer’s Association, serving on the board of directors from 2011-18 and as president of the board from 2016-18. Knierim joined Villeroy & Boch, a leading manufacturer of fine porcelain tabletop products, in 2016. She previously worked for Panasonic as vice president home – Consumer Division from 2014-16, and before that spent nine years at Jarden Consumer Solutions, holding various management positions, including director of marketing and vice president of sales. Mohn, who joined Sagaform in 2011, has more than 15 years’ experience in the housewares industry, all with Swedish and French suppliers. Sagaform is a Swedish lifestyle brand of tabletop and housewares products, specializing in gifts for all occasions. Before joining Sagaform, Mohn served as managing partner of Pillivuyt USA from 2008-11 and as president of Linden Sweden from 2003-08. She has been active in IHA since 2007, serving on the Government Affairs Committee and Exhibitor Tradeshow Committee. Collins joined Neatfreak in 2008. The company designs, manufactures and distributes innovative home organization and laundry products globally. Prior to becoming a partner at Neatfreak, Collins worked in the sporting goods industry with world-recognized brands including Nike Inc. He also served as a board member of the Canadian Hardware & Housewares Manufacturers Association. Steidle has spent his entire career at John Ritzenthaler Company, joining them after graduating college in 1975. The company was purchased by Steidle’s father in 1968, and develops, designs, sources and markets kitchen textiles, table linens, specialty cleaning cloths, laundry products and chef apparel to retail, hospitality and food service marketplaces. Steidle learned the business from factory floor up, operating weaving looms and learning production in the early years, moving on to clerical, sales and managerial positions before being named president in 2001 after his father’s death. Steidle’s brothers, Bret and Ward, and his son, Trey, also are part of the family-run business. Endres founded Select Brands in 1997. The company designs, develops and markets small appliances. Its brands include Babycakes, Kitchen Selectives and TRU, as well as the Disney and Toastmaster brands. Endres has more than 48 years’ experience in the housewares industry, beginning his career as a sales manager with Corning Glass from 1970-76. He then worked 22 years for Rival Mfg., serving as senior vice president, sales and marketing. Also serving on the IHA Board are immediate past IHA chairman Brett Bradshaw, co-president, Bradshaw Home; Neal Asbury, CEO, The Legacy Companies; Steve Greenspon, CEO, Honey-Can-Do International LLC; Robert Kay, CEO, Lifetime Brands; Melissa Kieling, CEO, PackIt, LLC; Yvette Laugier, general manager, Peugeot Saveurs North America, LLC; Kristine Malkoski; Thomas Nichols, president, Pretika Corporation; Michael Stoll, president, UT Brands. ; and Will Symonds, president, DKB Household USA Corp. Serving on the executive committee of the board are Brett Bradshaw, John (JC) Collins, William Endres, Steve Greenspon, Yvette Laugier and Howard Steidle Jr. Editors: To download digital photos of the IHA Board of Directors, view the IHA Board of Directors on the IHA website.